Membership benefits include branch meeting days, workshops, exhibition opportunities, quarterly newsletter, project book and more! 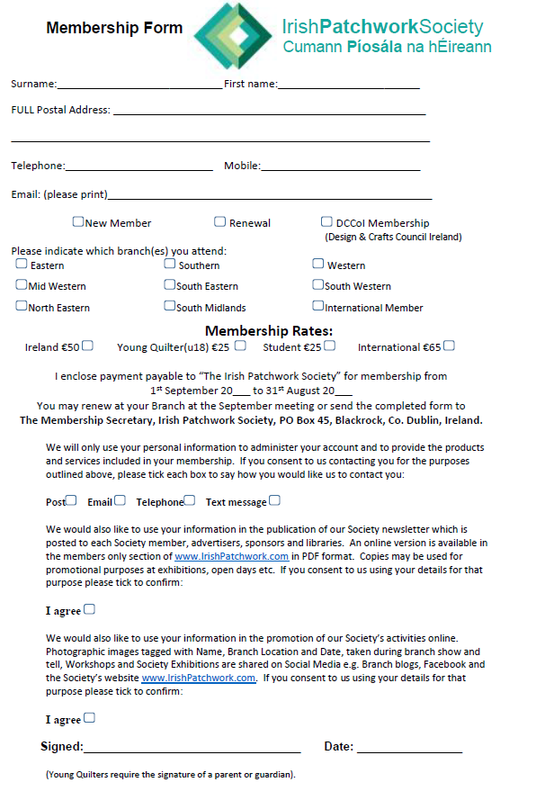 Young Quilter membership (under 18) is available through the branch for €25.00 (EUR) annual membership. Contact ipschairexec@gmail.com or visit your nearest branch to register for Young Quilter membership.